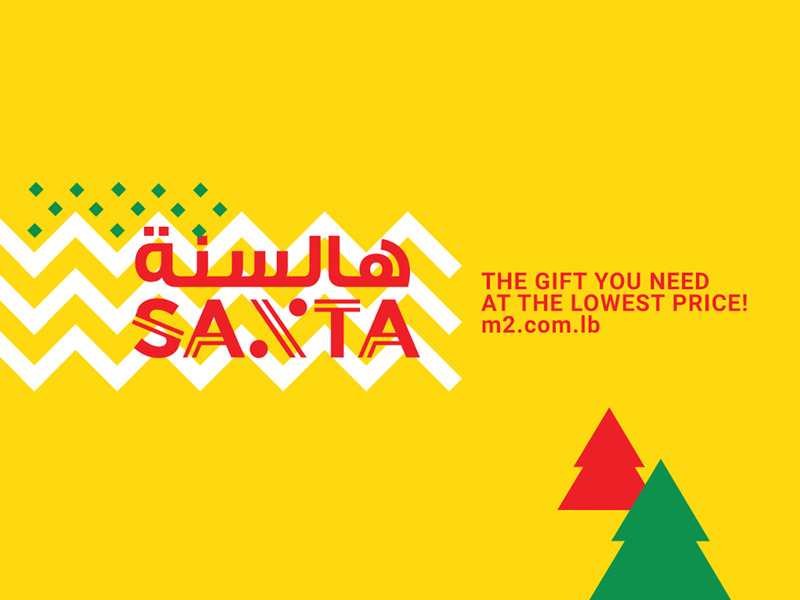 Tarek Chemaly: M2 Multimedia Megastore - Christmas ad done right. M2 Multimedia Megastore - Christmas ad done right. So if you tell me about a yellow Christmas ad, with a copywriting trick and a visual gimmick all at once, my instinct would tell you this is a flop. Still, M2 Multimedia Megastore turns a beautiful winner out of this. Where do I start? The yellow is the trademark to the brand, the "hal senne santa" is a play on "this is year is it" and instead of saying "hal senne senta" they included a Christmas wink. Now instead of the N we have % to indicate the low prices. Add two trees and the whole thing - oddly - is minimal.